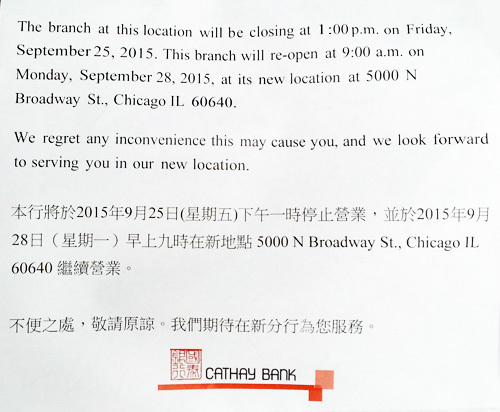 According to a sign on the ATM across the street, Cathay Bank will open its new branch at 5000 N Broadway today, in the former New Saigon restaurant space. Construction was still going on Friday night, but yes, they kept the great vintage tiled floor. No sight of the Michael Jackson poster, though.